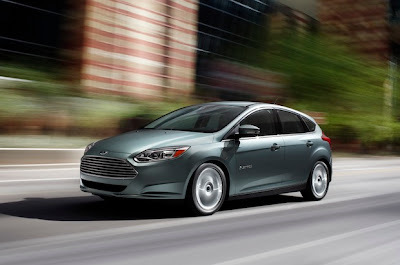 Californians looking to avoid projected $5-per-gallon gas will soon be able to buy the gas-free Ford Focus Electric, save $10,000, and enjoy high-occupancy vehicle lane (HOV) access after the car was just approved for California’s Clean Vehicle Rebate Program (CVRP). California Focus Electric customers can now apply to receive a $2,500 tax rebate when the Focus Electric is purchased or leased for 36 months or longer. In addition to the state rebate, Focus Electric qualifies for the existing $7,500 federal tax credit. Traffic congestion continues to worsen in California where, according to the Texas Transportation Institute’s annual Urban Mobility Report, Los Angeles and the San Francisco-Oakland metropolitan area rank No. 3 and 7, respectively, for the worst congestion in the U.S. In Los Angeles alone, this congestion contributed to a total of 38 million gallons of wasted fuel over the course of a year. This congestion costs the average Los Angeles commuter an additional $1,464 a year.